My young Harleydeaux Kilimanjaro aka JONAS made me proud again! Excellent 1, CAJC in junior class. He is Jahresjugendsieger! 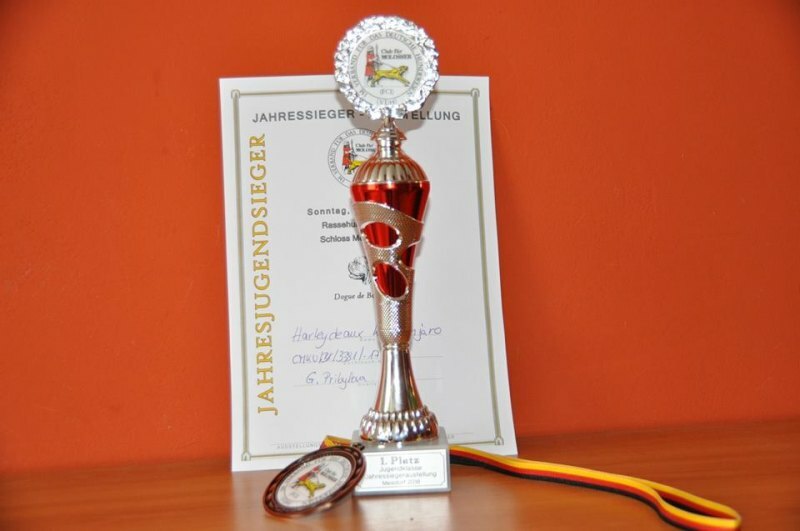 And he has fulfilled the conditons for Junior Champion of Germany!